I’ve never cried while out or driving; not even with my eldest daughter’s divorce two years ago, when she dropped the bombshell on us, four years into a marriage based on a love story. Not even when my daughter is being invited over to her son’s school, to meet a whole team of teachers, psychologist and councilor because her five-year-old son is misbehaving again. And I know why: he feels deeply hurt because his loving dad isn’t living with him and his mom, but in a different country. He keeps on talking about “crushing” or destroying stuff, from a toy to planes or even the world. But today I couldn’t hold it and I kept crying… behind a pair of sunglasses, true, but this didn’t stop people who’d cross my way from eyeing me strangely. It’s my second daughter who made me cry. Because she herself has been crying for the past two days. Because her father and I demanded that she stops seeing the guy she’s been in love with for the past two years. No,we aren’t that kind of mean parents – we aren’t any Capulets. But we did it because we are afraid for her, and we are trying to protect her – or, maybe, ourselves? Or, maybe, because of our first daughter’s failed marriage? Fact is, we always had a vulnerable spot regarding our second daughter, now 26, more fragile, in our eyes, than her eldest. And we wanted to avoid her what was, in our eyes, a relationship destined to sure failure. We had no preconceived, bad intentions before meeting the guy. I even bought myself a dress and tried on accessories that would go fine with it for the engagement. I even made efforts and lost weight. Not that the guy is a terrible one; he seems nice, polite and polished. But what we saw in him was below our standards for her, in terms of personal merits, self assurance, confidence; he gave us all (including the rest of the family) the impression of lacking grounding and centeredness. She said that he’s full of promises, but we didn’t judge him with the same indulgence. At 31, a young man should have already some base, other than the job he recently got after many changes. And now, maybe she hates us. And maybe she’s right. “It’s her business whether she wants or not to be with him, if she likes him,” some people would argue, or would strongly advise: “Don’t interfere into the lives of your adult children!” I know, I always did that to others, but it’s always easier to shower advice on others. We aren’t the kind of parents to interfere in their children’s major life decisions. We didn’t interfere with our first daughter’s marriage. We didn’t interfere with all our children’s choices of career; we didn’t either with their choice to go study, work and leave abroad. But this time we felt we had to; our accumulated life experience, our understanding of people’s personalities pushed us to assume this kind of responsibility. And now I feel lost… I always put my personal interests aside to live vicariously, in accordance to the victories and failures, the comings and goings of my children. I always wanted to be there for them, because my own parents were not always there for me when I badly needed. I wrote a book on family relationships which I deem important for everyone and relevant in as much as a culmination of a lifetime of focus and from my years of experience; one cannot but build one’s own my philosophy of life, and I deem mine comprehensive, rich and consistent. I believe that living a fruitful life, giving out the product of your accumulated wisdom is the utmost meaning of this brief existence. However, I didn’t do anything to bring this book, this other child of mine into the world, because every time when I would push for it, my children would need me. But this wouldn’t stop me from feeling frustrated and failing myself. And now, for the first time in her life, my daughter is not that willing to talk to us as she used to. She wants to be left alone. I don’t think she trusts our judgment… she’d rather listen to the voice of her heart. And I wonder… is this voice ALWAYS right?? This is the moment when you realize that you should have left them alone, make their own choices. Even at the price of you living with hurts and sleepless nights caring, worrying for them… or driving and crying. This is the moment when you realize that no, you needn’t see yourself smarter than your parents. By now you stop seeing how they’ve done a terrible job at shaping and upbringing you and begin to understand their reasons. By making those mistakes they may have given you the right model… or the wrong one?? Here I am, the result of my parents’ upbringing, they, in turn, the result of theirs… and so on. Who knows which way is right? To care, or not to care? To interfere, or not to interfere? To suffer, or not to suffer?… as if we had any choice. 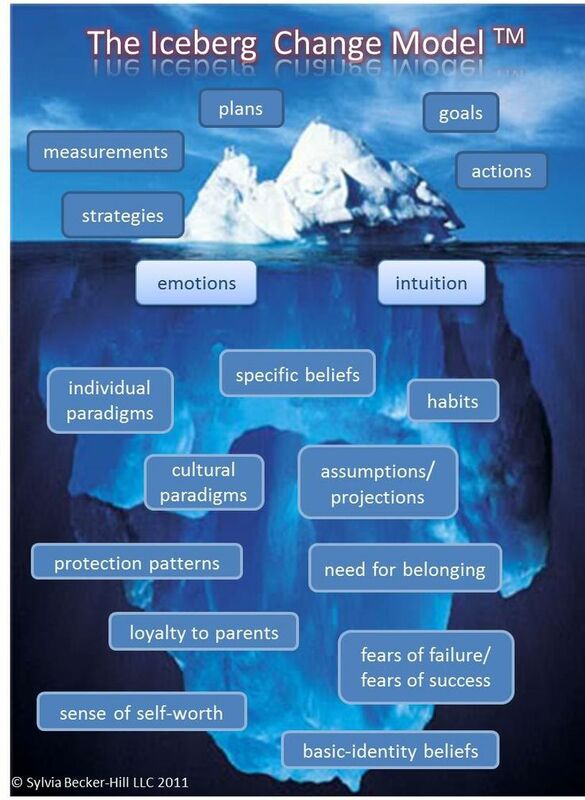 the “Iceberg Model of the Mind” – this is a graphic representation meant to represent the disproportion between the conscious mind and the unconscious. While advances in neuroscience and insights from psychoanalysis keep on revealing the unfathomable power and the untapped potential of the human mind and especially of the human unconscious, technologists are forcing on us the dawn of a new world; that we have no idea and no saying in it, nobody cares. We are a society of new everything, starting with new technologies and inventions. We, humans, are no more good enough drivers, not good enough operators, chess or other game-players, not healthy enough, not smart enough, not creative enough. I have a special interest in the new technologies, tendencies and developments, so I follow the news from developers, futurologists, life extensionists* and transhumanists** – those who are set to improve, even create a new, updated, perfected human race, a sort of “bionic man”. The conclusive argument is that we have already reached our limitations, and the solution would be to resort to artificial intelligence and nanotechnologies. Eventually, according to Google’s Ray Kurzweil, we would be “running nanocomputers through our bloodstream”. To me, all this sounds like a revival of old eugenistic ideologies, and any attempt at artificially improving the human race, with its inevitable creation of classes and categories (there are many populations around the globe that may have by far more trivial things to fix about their societies before they would recourse to bionic enhancers) sounds like an old Nazi program. Some questions might serve as guiding lines to get a clearer picture. A:I guess it is. Artificial Intelligence (AI) is ever getting more powerful, as “dictated by Moore’s Law”*** in 1965. It is at the very base of any estimation and prediction on IT (intelligent technologies) and AI progress and development. With the advent of nanotechnologies IT are ever “growing smaller” – atomic-scale foil, carbon or silicon, is already being fabricated, like graphene and silicene (atoms with amazing properties: graphene is 200-times stronger than steel). Q: Are they thinking of the impact this is going to have on the generations of a not too far future? A: Moore’s Law predicting, the “singularity” **** is going to occur by 2024 (with the deadline postponed to 2030 something), after Vernor Vinge, Ray Kurzveil (see his books: Singularity Is Near, The Age of Intelligent Machines and The Age of Spiritual Machines), and others; after this date “nothing will be as it was before”. We are already “edging towards the future”, in their words. Q: How close are we, in practical terms? We heard in many places that “the future is now” – if this is true, what kind of future, we may ask? For whom, and who needs this? In order to prepare the future “elite” of the world, colleges like MIT, Stanford and Harvard are not the academic stars anymore. Now there is this Singularity University******. But if you ever thought that these aforementioned universities were a little bit out of your league or out of your kid’s reach, don’t fool yourself: tuition cost in this elite institution is so exclusive, that: this is uniquely an ELITE University. Many are the things around us that go against the logic. 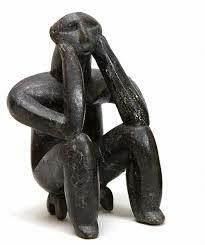 Materialists claim that they are for the hard sciences, for rationality, that they will not take nonsense. But, to me, the irrational consists exactly in the idea of projecting and pushing for any future that will be especially destined for machines, intelligent or not. Nature has been taken billions of years for the evolution of the human brain and now man, the highest in intelligence of all the animals, will end up serving as biologic support to some organic computers – until they learn to create one from scratch. At the same time and in the same world there are billions of people who firmly believe, and many also know, that they have a soul, and that this soul has come from a Spirit that is infinitely wise and knowledgeable, because it is the Natural Intelligence at the base of Creation. Maybe we are at crossroads. But whichever way, we should take our stances and voice our creed and concerns. The worse thing that could happen would be to suffer ourselves from the boiled frog Syndrome. I began this writing here with my story – what just happened to me, and what countless humans around the world know dead-sure to be true – there is Mind, or Soul, or Spirit , and we are going to access powers than we never thought of – if only we had enough knowledge as to how to use them. We have this infinite power as being part of this Spirit that created worlds, so why would we want to create machines instead?? We don’t need ultra, super machines, be they mechanic or digital to do our work for us “better than humans” – “Just” human would be enough to make us live happy and content. Who has a different agenda, and what about those countless situations and examples when machines have failed us? OK, let’s create machines – I am using one here, and happily so – but let them be just what they are: dust of this world, transformed and processed by a human knowledge that grew along generations of creativity, perseverance and human genius. We don’t need IT and AI to help improve human potential and knowledge artificially, through implants, in ways that nobody can guarantee will remain harmless. Like we have done all along, we can surpass our limitations through our own efforts. 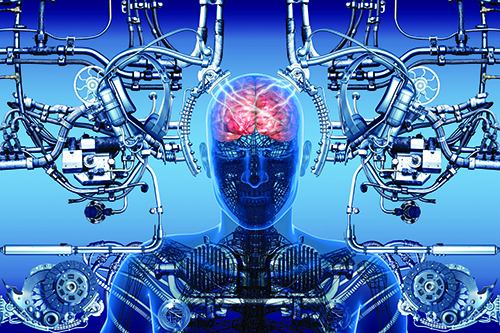 **Transhumanism (abbreviated as H+ or h+) is an international cultural and intellectual movement with an eventual goal of fundamentally transforming the human condition by developing and making widely available technologies to greatly enhance human intellectual, physical, and psychological capacities. ***”The observation made in 1965 by GordonMoore, co-founder of Intel, that the number of transistors per square inch on integrated circuits had doubled every year since the integrated circuit was invented. Moore predicted that this trend would continue for the foreseeable future.” It is still valid and functional – a graphic representation shows the exponential growth, with transistor counts doubling every two years. ****** “Our mission is to educate, inspire and empower leaders to apply exponential technologies to address humanity’s grand challenges.” And for that, the singularity university needs to “identify key business and government leaders for possible partnership opportunities – interfacing with policy makers or influencers in your area”.